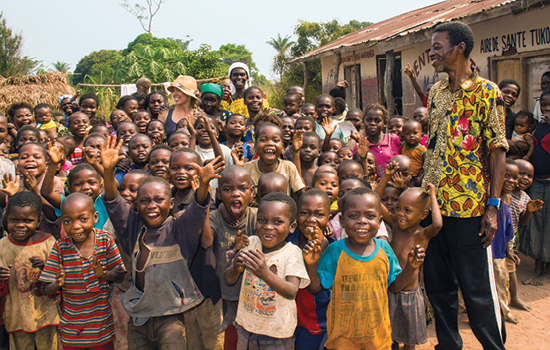 Promoting health, preventing disease—locally, nationally, globally...Crystal Stafford 14MPH works with IMA World Health in the Democratic Republic of Congo on malaria prevention. 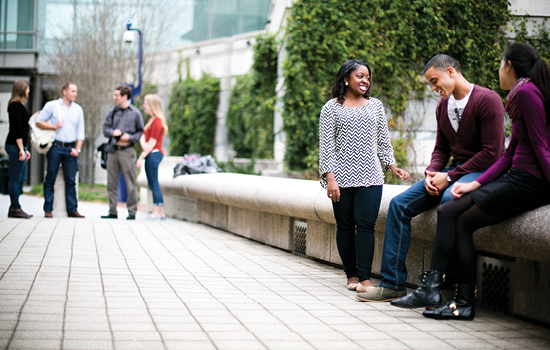 Empowering the next generation of public health leaders...Students enjoy a nice day in front of the Claudia Nance Rollins and Grace Crum Rollins buildings. 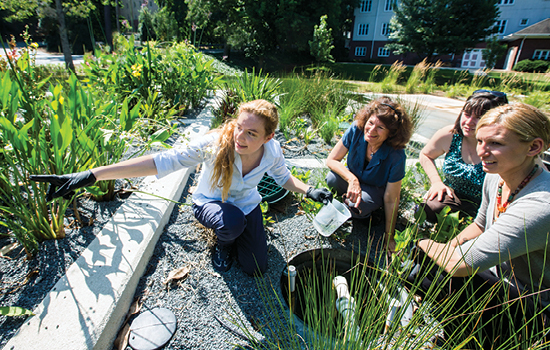 Driving research that improves health and saves lives...Christine Moe, Eugene J. Gangarosa Professor of Safe Water and Sanitation, works with WASH students to examine the quality of the reclaimed water treated by the Emory WaterHub facility. Anh-Minh Alexander Tran 14MPH photographed fellow Rollins students as they answered questions about nutrition from schoolgirls in Bijapur, India. Niharika Bhattarai 12MPH took this photo in Varanasi, Uttar Pardesh, India, while on his practicum as a global health student. 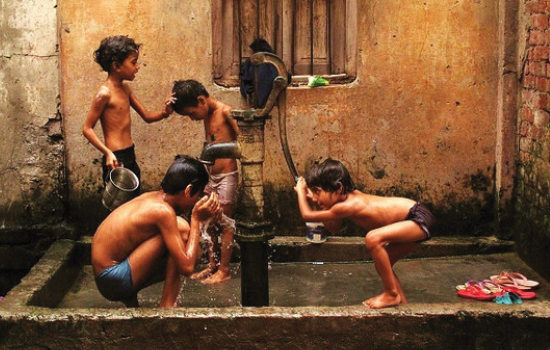 It was one of five winners of the 2011 Global Health Student Photography Contest.